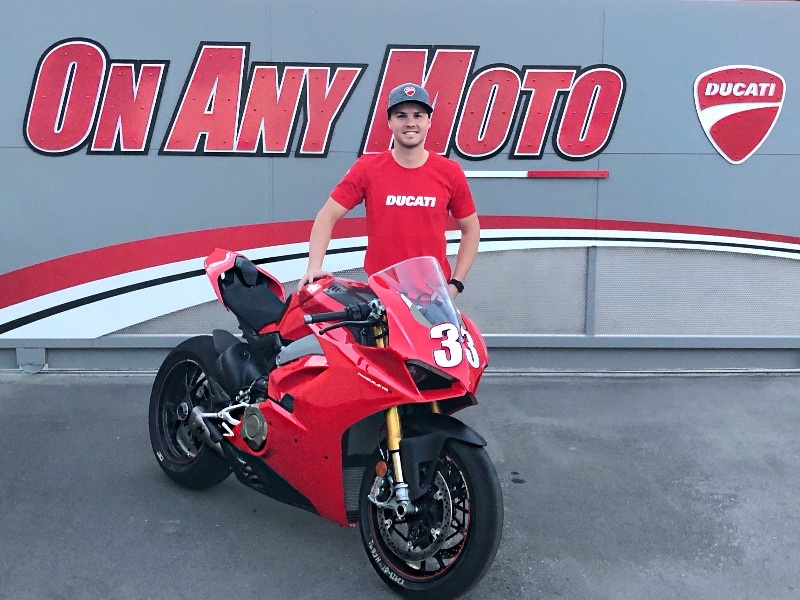 Kyle Wyman will race a Ducati in the 2019 MotoAmerica Superbike Series. 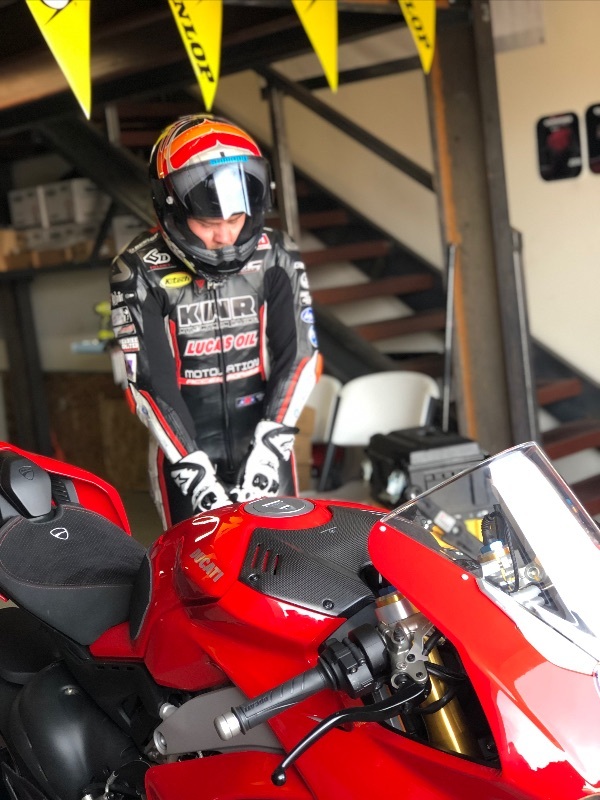 Kyle Wyman Racing has announced that Kyle Wyman will race a Ducati Panigale V4R in the 2019 MotoAmerica Superbike Championship. Wyman will campaign the Ducati with leadership from trusted crew chief Gary Dean and his shop, Speed Demon Motorcycles. The move to the Panigale is a big change for Wyman and the team, who will be competing in its fourth consecutive season in MotoAmerica’s premier class. Originally approached by the multi-line dealer On Any Moto, based in Tucson, Arizona, Wyman rode the Panigale V4S, the 1100cc version of the V-four platform, out at Inde Motorsports Ranch in early December as a test of Ducati’s incoming production 1000cc Superbike. KWR will field the impressive new V4R that is homologated for Superbike competition worldwide. The first round of the MotoAmerica series begins at Road Atlanta April 3-5.